A warm welcome awaits you at Portumna House. 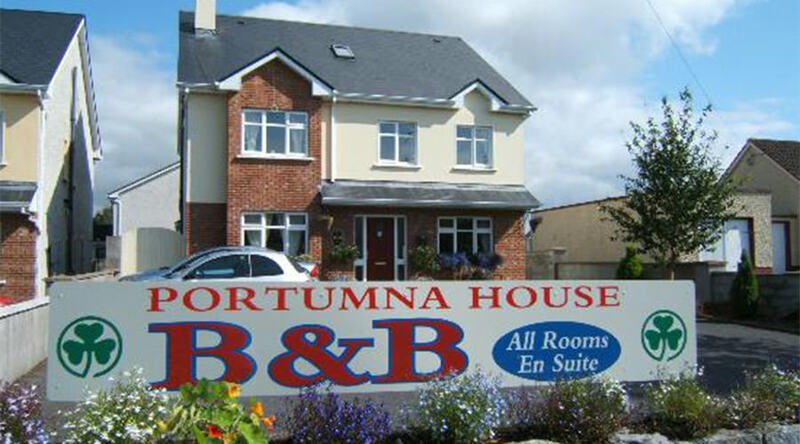 Portumna House is a luxury, purpose built Bed and Breakfast with all rooms En-Suite, TV and Tea/Coffee making facilities. Situated 200mtrs from the town centre and close to all amenities like Portumna Golf Club, Lough Derg, River Shannon Cruises, Portumna Castle and forest park walks. Tea, coffee and home made scones on arrival. Guests sitting room available with multichannel TV.